Your cat is licking, biting or scratching around neck, thighs, belly, flanks and base of the tail? These are all signs of a flea cat allergies. 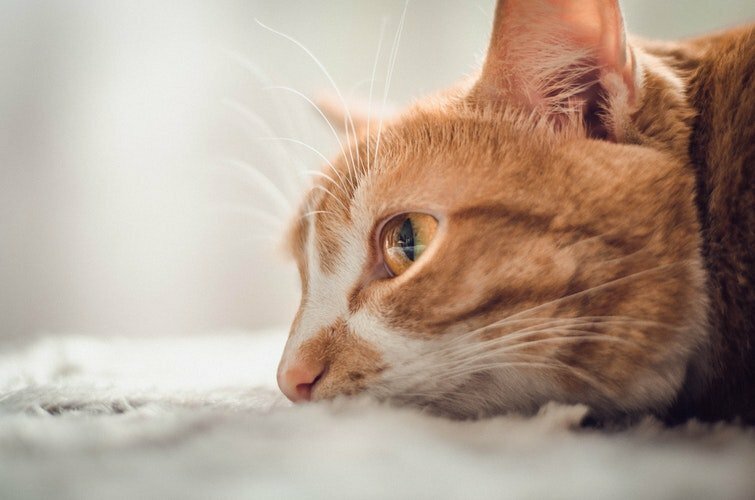 When your cat has flea allergies, it can become itchy after being bitten only once or twice. 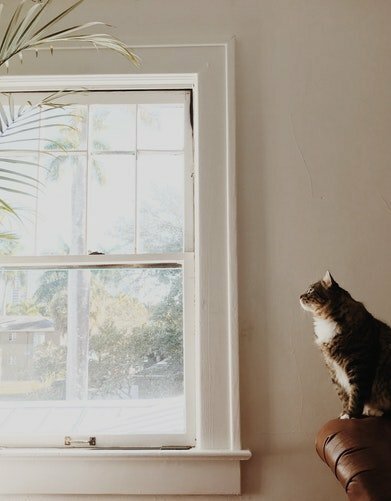 You might not notice any fleas on your cat, but that’s because cats with flea allergies are cleaning themselves more often, and more aggressively. Thus, if you see all the symptoms but you are still not sure of it, you should visit a veterinarian and check it for the well-being of your cat. If you see your cats lick, chew and scratch anywhere on their bodies that could mean they have pollen cat allergies. This kind of allergies is common in cats. It can include tree, weed and grass pollen. 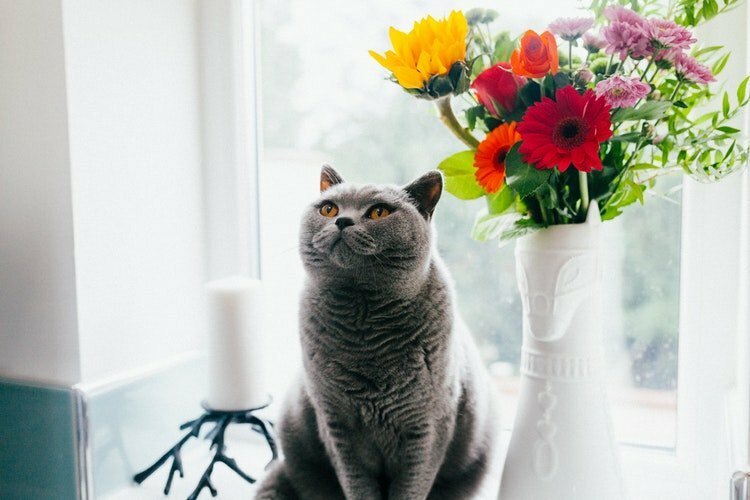 Pollen allergies often start as being seasonal but over time they can become more and more continuous because, with age, cats tend to react to more things. In severe cases, this type of cat allergies can cause significant skin damage. To be sure, visit veterinarian or a veterinary dermatologist because they can take a skin or blood test for allergies. Also, you should keep your cats indoors with windows shut and regularly bathe or wipe them. Household allergens can also cause cat allergies. Indoor allergens like mold, dust, household mites can all trigger your cats allergic reaction. This type of allergies are not seasonal, that’s why you will probably see your cat licking, biting and scratching all year-round. Just like in other cases, you should visit a veterinarian. You should also try keeping your home clean, use air filters and regularly bathe or wipe your cat. There have not been many studies about cat allergies on plastic. However, some sources link eating and drinking from plastic bowls with a chin acne in cats. Cats with chin acne have solid or pus-filled bumps around their chins. Thus, if you suspect that your cat has chin acne and that it is related with allergies to plastic you should use glass plates or bowls. But, dont forget to clean them regularly. 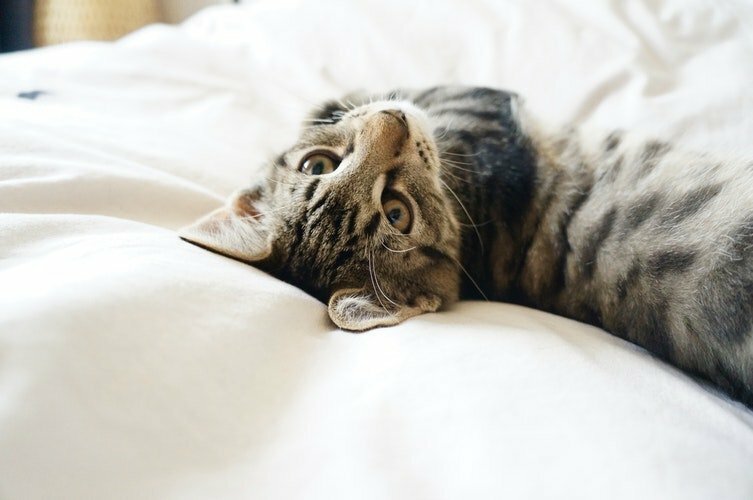 Perfumes that are frequently added to cat litters, cleaning products, air sprays, carpet powders, dryer cloths can all be the cause of cat allergies. Some cats are very sensitive to these perfumed products. Thus, if you see your cat sneezing or if your cat becomes itchy, you know what to do. Just remove all these perfumed products from your household. You can use unscented products and pay attention if your cats symptoms are going away. 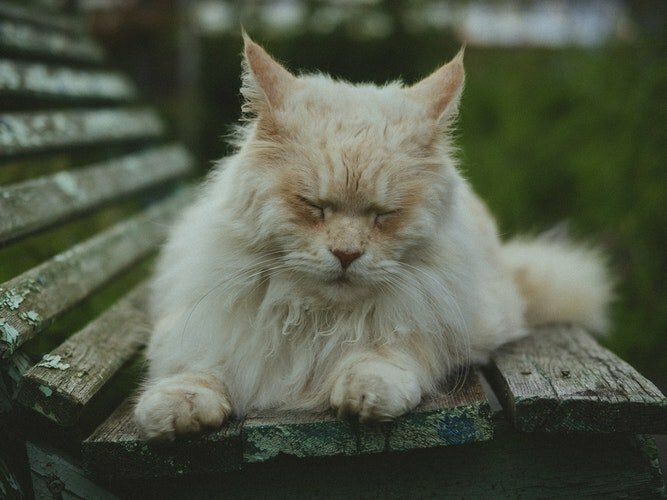 Although drug allergies are rare in cats, they are one of the most dangerous type of cat allergies. Your cat can react to some medication and have a variety of symptoms. Some of them include: itching, hives, fever, vomiting and hair loss. Also, in severe cases, symptom can be anaphylaxis, which may cause difficulty breathing, collapse, seizures and death. If you’re concerned that your cat has drug allergies, you should call your veterinarian immediately. Just like humans, cats can experience food intolerances or allergies. It has been estimated that between 5 and 15 percent of cats have a food allergy. There are a lot of different theories about how and why cat food allergies occur. Most common belief is that true allergic reactions are usually the result of an underlying health problem or system imbalance. Pets develop allergies as a result of becoming susceptible or vulnerable in some way. Because of that, pet food allergies are defined as immune system or inflammatory responses triggered off by certain foods. Therefore, cats can develop food allergies at any age. Whether they have been eating the same food for years or have recently started eating something new. Based on a research, most commonly identified food allergens for cats are: beef (20%), dairy (14.6%), fish (13%), lamb (6.7%), poultry (4.5%) and barley/wheat (4.5%). We see that the most common food allergen is meat (beef). That is expected because allergens are proteins and since cats usually have more meat in their diet, they are more likely to have allergies to meat proteins. Surprisingly, dairy products and fish are at second and third place. Many people consider fish and milk as perfect food for cats, but we can see that these products can also be the cause of food allergies. Some symptoms of food allergies or food intolerance are similar to those of other serious conditions so consult your veterinarian if you notice any of these signs. How to Identify your Cat’s Allergy? You can always go to veterinarian and have your cats blood tested to food allergies. But, according to veterinary dermatologists blood tests can be unreliable. However, a way to test your cat for food intolerance by a saliva sample has been developed. They can test for 24 different foods. The problem is that food intolerance and food allergies are not the same thing. They produce different responses and symptoms. Moreover, when it comes to intolerance, it appears immediately. It takes more time for allergic reaction to appear. Nevertheless, it appears to be a useful test. When it comes to identifying your cats food allergy, the best way to confirm it is by using an elimination diet in a food trial. With this method you will also have to cooperate with your veterinarian. It would be best if you start by choosing a diet that has one kind of protein which your cat has never eaten before. After 8-10 weeks, if your cat symptoms get better, veterinarian will suggest you to start adding more ingredients in your cats diet. He can help you with what ingredients to add. That way, you’ll see if and when your cat has an allergic reaction, and finally come to your answer. What is Hypoallergenic Cat Food? Hypoallergenic cat food is food that is made with hydrolyzed protein. But, what is hydrolyzed protein? Hydrolyzed protein is a protein that has been broken down to such an extent that your cat’s gastrointestinal system can’t even identify what it used to be. In other words, immune system cannot recognize them as a trigger for allergies. That is perfect for cats with food allergies. Especially if you still don’t know what kind of food triggers your cats allergic reaction. Just buy some hypoallergenic cat food and you’ll be sure your cat will have happy, allergy symptom free life. When it comes to hypoallergenic cat food you have to be careful. There are many products out there that presents themselves as hypoallergenic, but they are just to far from being that. Yes, there are some cheaper variations , but if you ask me, when we’re talking about your pet, you shouldn’t save money. Research, take advice from your veterinarian and at last find perfect food for your cat. Help your cat get rid of all those nasty allergy reactions. In my recommendations for best hypoallergenic cat food I managed to choose only 4 brands. 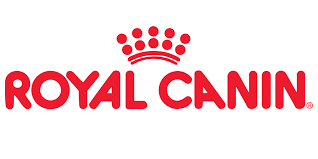 First one is Royal Canin Hypoallergenic food. This food is specifically formulated for use as a short-term elimination feeding and as long-term nutrition for cats and dogs with food sensitivities. Nutritionists and veterinarians were a part of team for developing its formula. This food has low molecular weight peptides to support dermatological and gastrointestinal health in cats and dogs with food sensitivities. Moreover, formulation and production process is dedicated to quality and food safety. And, it has synergistic complex of antioxidants to support immune system health. Buy ROYAL CANIN Hypoallergenic Hydrolyzed Protein Adult Food here. Second one of my favorites is Natural Balance Grain-Free L.I.D. (Limited Ingredient Diets). They are made specifically for cats. This food is based on a unique protein and carbohydrate blend, along with effective natural ingredients to help support your cats health. This hypoallergenic cat food has quality carbohydrate, rich in potassium and a highly digestible energy source. Moreover, Taurine Fortified Helps in maintaining normal heart function and retinal structure. It also features an excellent source of Omega-3 fatty acids. It is highly digestible, grain free and with no artificial preservatives, flavors, colors or bleached ingredients. Buy Natural Balance Limited Ingredient Dry Green Pea & Duck Cat Food here. Buy Natural Balance Limited Ingredient Dry Green Pea & Chicken Cat Food here. Third one is Hill’s prescription diets. This foods have clinically proven nutrition to help avoid adverse reactions to food. It also has highly digestible animal protein source and highly digestible carbohydrate source that helps avoid common food allergens. Furthermore, it has omega-6 fatty acids that helps in nourishing the skin and coat. They also added antioxidants in this hypoallergenic cat food. That helps in maintaining a healthy immune system and the skin barrier function. All in all, it sounds really good and I would definitely recommend it. Buy Hills Z/D Low Allergen Cat Food here. Buy Hills Hypoallergenic Cat Treats here. Last but not least is BLUE Basics Limited Ingredient Diet. This hypoallergenic cat food contains single animal protein source. It also has easily digestible carbohydrates. Furthermore, it has omega-3 and omega-6 fatty acids. It features pumpkin for gentle digestion. Finally, it has no corn, wheat, dairy, eggs, chicken or beef products. Because of all of that BLUE Basics hypoallergenic cat food is perfect. It is a nice example of healthy and holistic food that has limited ingredients. It minimizes food sensitivities while maximizing the nutritional value that your cat will receive. Buy BLUE Basics Limited Ingredient Diet Adult Grain Free Duck & Potato Dry Cat Food here. Buy BLUE Basics Limited Ingredient Diet Grain Free Wet Cat Food here. I know many people don’t believe in hypoallergenic cat food. Their assumption is that you can find normal cat food that will be good to your cat. What they say is that you just have to look at ingredients listed on a label. Finally, you just have to choose something that doesn’t have an ingredient your cat is allergic to. Yeah, I agree, it is possible. You can even make home-cooked meals and treats for your cat. But when you don’t know what’s your cat allergic to, hypoallergenic cat food is perfect. With this food you don’t have to worry about your cat’s allergic reaction. And, feel free to make a comment and write your own opinion on this food. If you have a cat and you like spending time with her make sure to look at this article. It talks about perfect cat toys that will make your and your cats days even more fun and fulfilling. Cat toys are important to your cat because they reduce boredom, encourage running and awakens your cat instincts. They are also a great for owners too because they will ensure a long and fun bonding time. Timing. I’m having skin asthma now. And it’s true..cats do have asthma too. And skin issues caused by dermatitis. They also sneeze and cough.